Need some more Jahwan Edwards in your life? You’ll have the chance on January 17 because a Quake warning has been issued for Carson, California and the NFLPA Collegiate Bowl. Jahwan Edwards, a senior running back on the 2014 Ball State football team, has been selected to compete in the National Football League Players Association Collegiate Bowl Jan. 17 at the StubHub Center in Carson, Calif.
Mike Holmgren and Mike Martz will serve as head coaches for the American and National teams, and the game will air live on ESPN2 at 4 p.m. Practices from the all-star game will be broadcast live the Wednesday and Thursday of game week on ESPNU. 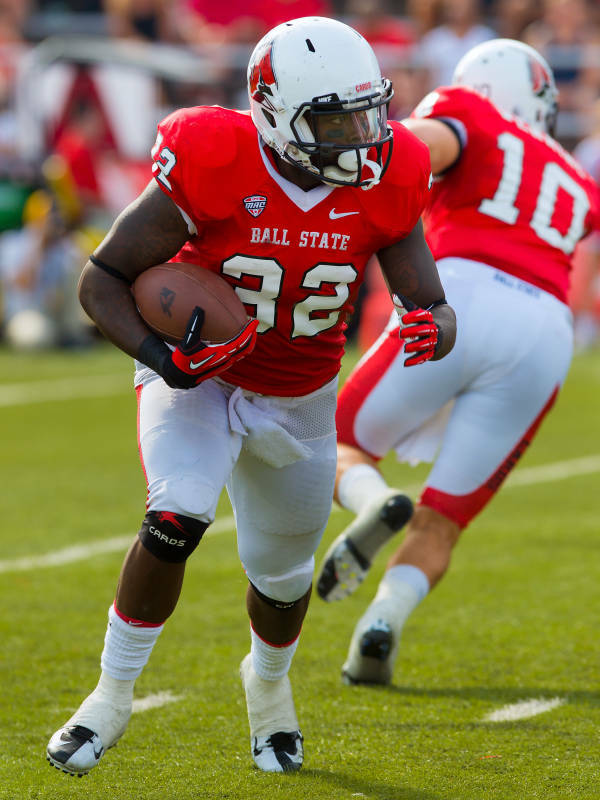 Edwards finished his Ball State career as the school’s all-time leader in rushing yards (4,558), rushing touchdowns (51), total touchdowns (51) and rushing attempts (884). He ranks fifth in Mid-American Conference history in career rushing yards and rushing touchdowns, while ranking sixth in rushing attempts. The 5-10, 219-pound senior rushed for 100 or more yards six times in his final season and 18 times in his career. In 2014, Edward tallied 262 rushes for 1,252 yards and 12 touchdowns, while averaging 104.3 rushing yards a game in his 12 starts. He became only the second player in Cardinals’ history to rush for more than 1,000 yards in three consecutive seasons after rushing for 1,410 in 2012, 1,110 in 2013 and 1,252 in 2014. The Matthews, N.C., native is one of the draft-eligible seniors competing in the all-star game after helping Ball State to 30 wins and two bowl appearances in his four seasons. It should be noted that that is the same complex that does some kind of Crossfit games or something. Quake also probably plans to win that too. You’ve been warned, Crossfitters.